Deracinated stones to potholes and busted braches to screws and nails, your car tires are exposed to various threats and unwanted situations at all times when you are driving. Emergency situation can arrive anytime, without giving you a prior notice. You are driving and suddenly you realize some issue with your car tires. Fortunately, you have King SD Towing at your service, 24×7. 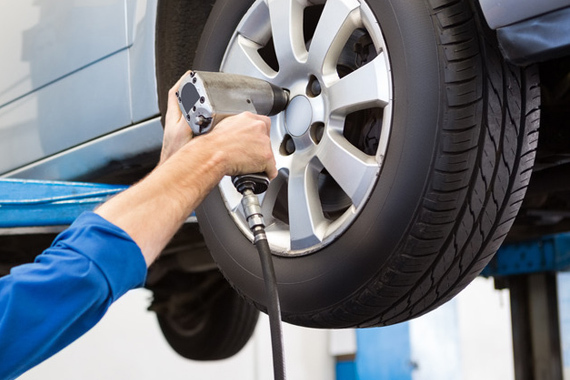 With more than 30 years of experience, we are widely known as tire repair and changing experts ensuring that you immediately get out of the unwanted situation and back on the road at the earliest. We take pride in our inventory which includes both balance and mount tires of all sizes and run flat tires from different vehicles like vans, trailers, SUVs and cars. With us you can also discover the widely range of top-notch new tires and used tires at the most competitive prices. All you need to do is call (619) 636-1861 and we guarantee to reach the site within 30 minutes or less. In most of the cases, a flat tire may not mean replacement. Our experts reach the site and evaluate the requirement and then accordingly replace or repair the tires. If you require a tire alignment service, we provide it as well! Boasting of years of experience, we promise nothing but the highest quality and most affordable tire change services in San Diego. We believe in offering 100 percent customer satisfaction, which has helped us carve a niche in the industry. Whether your heavy duty truck needs an immediate change of tires or your vehicle has broken down on the road side, our team of proficient technicians reaches the site at the shortest possible time. At King SD Towing, we acknowledge that tire changing can be stressful and time-taking. We take all possible measures for making our customers feel relieved, satisfied and comfortable. Moreover, we are well stocked with practically all wheels and tires which include cars, buses, tractors, bobcats and more. Simply give us a call at (619) 636-1861 to get instant tire change assistance. Our telephone lines are open 24×7, throughout the year!